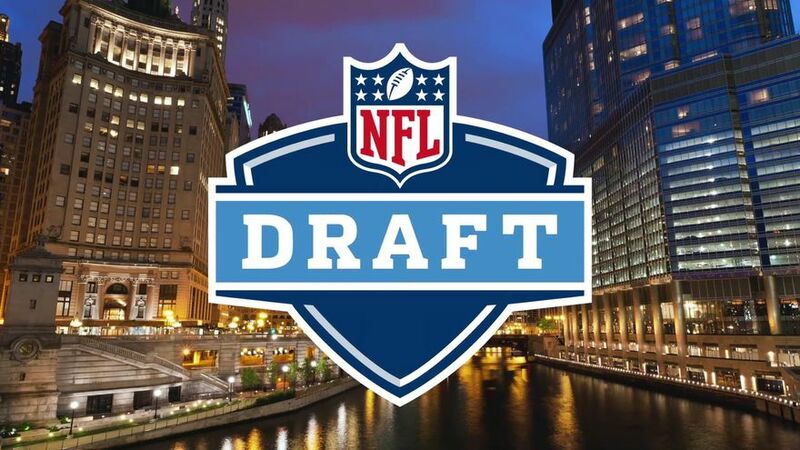 The 2015 NFL Draft begins Thursday night in Chicago. Ah, it’s that time of year, football fans: draft week. Optimism reigns supreme throughout the league’s 32 front offices and fanbases alike. Every team has a chance to win Super Bowl 50. Except the Bears, which is ironic considering Chicago is the host location of this year’s draft. All jokes aside, the dawn of a new season is upon us. And with that season comes an opportunity for the Packers and their fans to move on from arguably the biggest collapse in NFL postseason history. The Packers’ 28-22 overtime loss against the Seattle Seahawks in the NFC Championship Game will never be erased from memory. It stings. It will always sting. But it’s time to move on. No Super Bowl festivities took place in Titletown at season’s end. Yet there were still celebrations in the form of going-away parties for A.J. Hawk and Brad Jones. Packers fans even offered to help pack their suitcases for them as they departed for their new homes in Cincinnati and Philadelphia, respectively. OK, maybe that didn’t happen. But I’m sure no one held the door for them on the way out of Green Bay. The duo’s abysmal performance on gamedays surely had Packers fans raising their right hands and insisting they could play the inside linebacker position more effectively. And, to be fair, some of them probably could. Funerals took place to mourn the careers of cornerbacks Tramon Williams and Davon House, who left the fruitful pastures of Green Bay for train wrecks in Cleveland and Jacksonville. But both players will rest peacefully, knowing they’re being paid a pretty penny to never sniff a Super Bowl again. Nevertheless, the offseason continued. Free agency came and went. Outside free agents remained unsigned. And as sure as the sunrise, Ted Thompson haters came out of hibernation, equipped with pitchforks and picket signs. 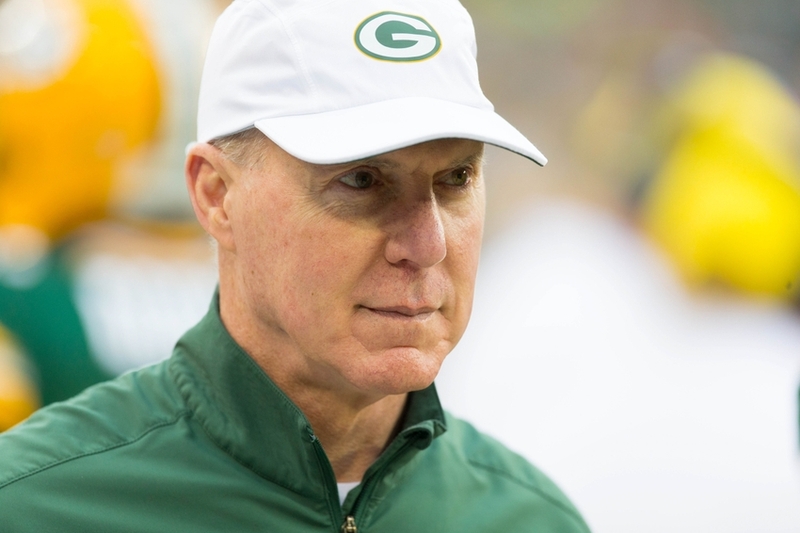 I don’t understand how so much unwarranted criticism can be directed toward a general manager who has led the Packers on one of the most successful stretches in franchise history. It’s not good enough, apparently. As human beings, and especially sports fans, we’re never satisfied. This generation of Packers fans has become accustomed to winning, seemingly unaware of the preceding dark ages that took place during the ’70s and ’80s. Coaches and general managers from other teams would threaten to trade players to Green Bay if they underperformed. It was a wasteland. The Packers are thriving in today’s NFL, and their fans should appreciate these times because success doesn’t last forever. Keep things in perspective. Year in and year out, fans beg Thompson to forgo his obligation to the salary cap and throw massive sums of money at free agents who, in all honesty, are free agents for a reason. Packers General Manager Ted Thompson. Money. Injuries. Age. Regardless of the red flags pinned to each free agent’s backside, more often than not, a cheaper asset is available in the draft. And how, exactly, has Thompson managed to build a perennial contender? This is where Thompson earns his money. Sure, he has undoubtedly made some poor selections he’d like to have back, but it’s unrealistic to expect any general manager to hit home runs with every draft pick. For the free agency fanatics, consider this: a bad draft pick is far less detrimental to a team’s salary cap than a free agent acquisition that doesn’t pan out. You don’t build a roster through free agency. You merely supplement it. Thompson has done that. Next time the Packers win a game, win the division, win the Super Bowl, don’t forget about the man in the booth who makes it all happen. And I digress. Let’s get started. With key contributors returning, such as Randall Cobb and Bryan Bulaga, the Packers remain equally as formidable as the squad that came within 3:52 of reaching the Super Bowl last season. A strong draft could potentially put the Packers over the top. And for a team that’s built on a draft-and-develop philosophy, that’s not such a bad proposition. But there are holes to be filled. Hawk and Jones aren’t coming back, much to the relief of many fans. But someone has to step in alongside probable starter Sam Barrington and fill the void, make a difference – something Hawk and Jones didn’t do, at least not in a positive way. Clay Matthews moved inside temporarily last season to help shore up the run defense, but the Packers would ideally like to send him back outside as a permanent pass-rushing threat. A number of quality inside linebackers could be available to the Packers in the first round. At 30th overall, the best options will likely include Eric Kendricks (UCLA), Benardrick McKinney (Mississippi State), Stephone Anthony (Clemson), Denzel Perryman (Miami – Fla.) and Paul Dawson (TCU). Inside linebacker is the Packers’ greatest need, but none of the aforementioned prospects received a first-round grade and there isn’t a standout player in this class. Thompson believes in drafting the best available player, not necessarily based on need. He doesn’t reach for players, either. For that reason, the Packers could go a different route. 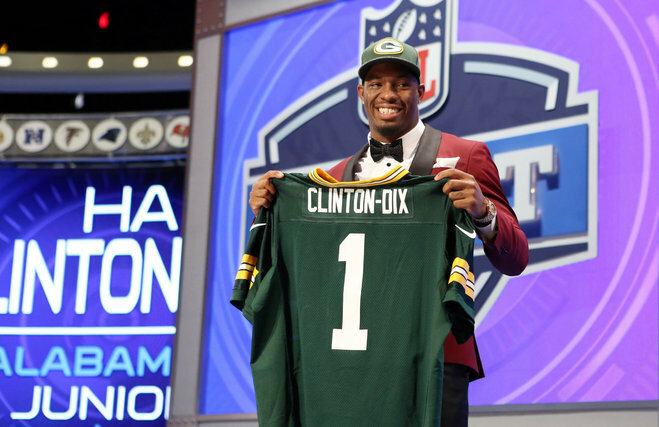 Ha Ha Clinton-Dix was the Packers’ first-round selection at 21st overall in the 2014 NFL Draft. With the departures of Williams and House, the Packers need to address cornerback early in the draft. Casey Hayward and Micah Hyde were primarily slot corners last season. Hyde also played safety until rookie fan-favorite Ha Ha Clinton-Dix took over full time. Either Hayward or Hyde will be thrust into a starting job opposite Sam Shields. But depth at the position must be improved. The following cornerback prospects have more talent than their inside linebacker counterparts and could potentially be available when the Packers are on the clock: Kevin Johnson (Wake Forest), Byron Jones (Connecticut), Marcus Peters (Washington), Eric Rowe (Utah) and Jalen Collins (LSU). Defensive tackle isn’t as much of an immediate need as inside linebacker and cornerback, but it’s worth considering for the future. B.J. Raji and Letroy Guion are both returning on one-year deals, which is encouraging in the short term but concerning in the long term. Additionally, Raji missed all of last season with a torn biceps, and Guion was arrested during the offseason. The best options at defensive tackle who might be available at 30th overall are Malcom Brown (Texas), Eddie Goldman (Florida State), Jordan Phillips (Oklahoma) and Carl Davis (Iowa). The Packers could also address tight end, but unless they land Maxx Williams (Minnesota) or Clive Walford (Miami – Fla.) it’s not worth taking one until later in the draft. Most experts agree this is a relatively weak draft class. Many believe the bottom of the first round will feature second-round talent. This puts the Packers in a difficult position – a position I wouldn’t be surprised if Thompson trades out of. As a matter of fact, that’s my prediction, albeit an unsexy one. Trading down would allow the Packers to acquire an extra pick and select an inside linebacker at the top of the second round, where the value matches the need. Thompson loves to trade down. Historically he’s been successful in doing so. With the 30th overall pick in hand, the Packers are in prime position to move out of the first round and still draft a player near the top of their board. Over the years, fans have come to expect the unexpected from Thompson. It wouldn’t surprise me if he selected an offensive lineman and sent Packers nation into an uproar. Regardless of how Thompson handles the draft, the Packers are locked and loaded for another Super Bowl run this season.